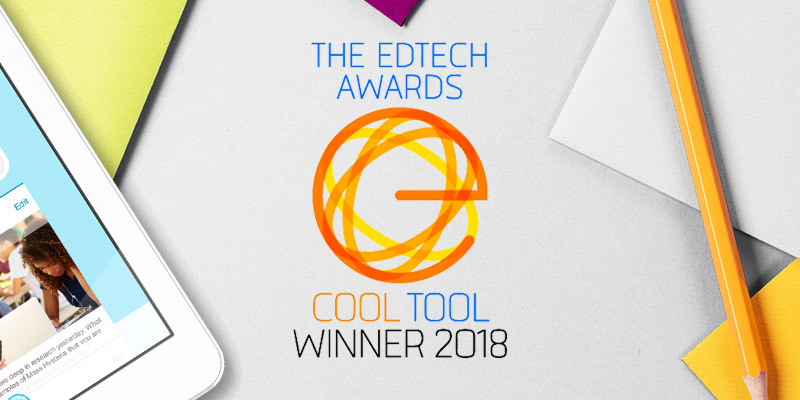 We are excited to announce that FreshGrade was named a winner in the 2018 EdTech Digest Awards as the best personalized learning solution. The personalized learning category is part of the “Cool Tool” awards that recognize the most innovative and effective solutions to support teaching and learning. FreshGrade supports personalized learning in a variety of ways. It captures each student’s learning through photos, videos, audio recordings, and notes, which can be reviewed by teachers and easily shared with parents. Teachers can provide students with personalized feedback in students’ portfolios. Students benefit from engaging in continuous feedback with their teachers and parents. FreshGrade also allows teachers to set custom goals and objectives that support personalized learning needs, ideal for students on individualized learning plans (IEPS. FreshGrade was also named a finalist in the district data solution category. Each month we provide our FreshGrade for Schools & Districts accounts with unique data, trends, and insights on student, parent, and teacher engagement to shed light on the learning in their district. If you’re interested in personalized learning and want to learn more, download our newest free eBook, How to Leverage Personalized Learning in the Classroom. This book, by personalized learning experts Allison Zmuda and Jill Thompson, will help you clarify what personalized learning is and isn’t, illuminate common misunderstandings and roadblocks, and suggest ways to get started and grow your practice from the classroom to the system level.